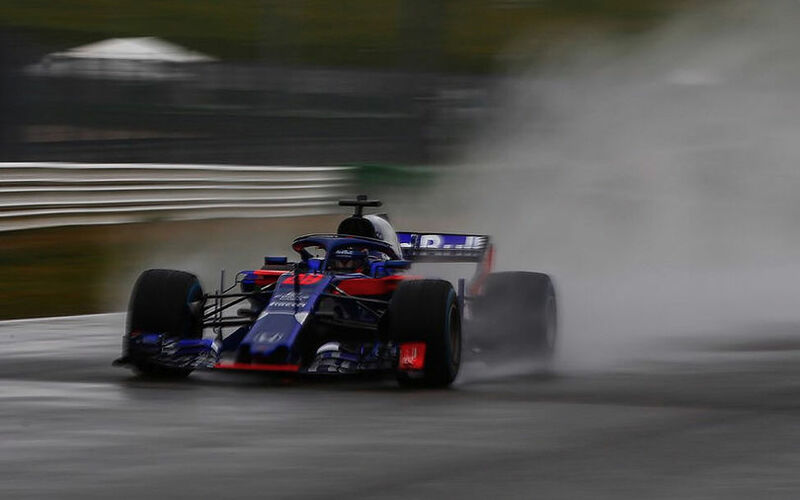 Toro Rosso's STR13 was only set to be revealed next Monday, on the first morning of pre-season testing, but as the car made its track debut at a wet Barcelona circuit today, some images leaked on the internet. The Faenza-based team rapidly reacted later today by releasing an official, and much higher quality photo of the STR13 via their twitter account. The team, in the spotlight due to their switch to Honda power units after a single season with Renault was eager to prove that its Honda RA618H engine ran well before real testing commences next week. The photo reveals a similar livery to the one introduced by Toro Rosso last year. The STR13 was fitted with the mandatory halo device, which included a small slotted gap trim similar to that seen on the new Sauber. The car was driven on its first run by Brendon Hartley, and later by Pierre Gasly at Toro Rosso's race drivers for 2018 were each given some time in the new machine.